CML Innovative Technologies are pleased to announce the appointment of specialist distributor, E. Preston (Electrical) Ltd, to its UK Franchised Distribution Network. E. Preston Electrical, a switch and electromechanical specialist, have built a sound reputation for their technical skills and attention to service and are expected to add more emphasis to design-ins within new market sectors, complementing the successful work being carried out by the existing network. CML Innovative Technologies provides its customers with one-stop lighting solutions and uses state-of-the-art computer aided design to help customers develop innovative solutions at the earliest stages of every project. The company can help refine customer concepts, develop specifications, create working prototypes; and with over 150 years of concept, design, and manufacturing experience, CML is uniquely qualified to serve the industries lighted component requirements. E. Preston Electrical have now added to their range the most comprehensive line of lighting components in the industry and communication with our partners is key to our mutual success. CML look forward to having E. Preston Electrical part of our existing reputation for providing superior quality, reliability, value, and service. A full range of IP68 rated environmentally sealed circular connectors designed to provide secure and safe connections in harsh or hostile conditions. 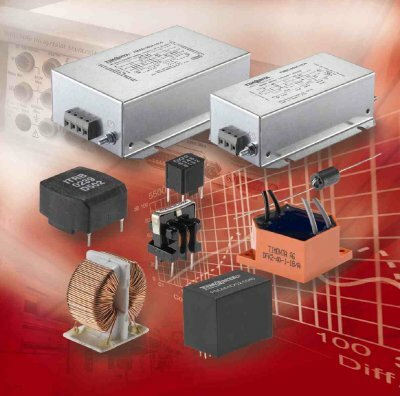 The range consists of the miniature 400 Series, Mini, Standard and the heavy duty, high current 900 Series. With a wide choice of alternatives from 2 to 25 poles, BNC connections and screw, solder or crimp terminations, the Buccaneer series provide the answer to many design problems. Screw terminations ensure simple ‘field’ connection, whilst crimp terminations fulfil the requirement for fast and effective volume connections. Each range has flex cable connector, in-line flex cable connector and panel mounting connector options. The Buccaneer range now includes data connections designed specifically for Ethernet and USB applications. The Ethernet Buccaneer is designed to Cat 5e requirements for data rates up to 100Mbs. The USB Buccaneer is designed to meet USB version 2.0 specification for data rated up to 480Mbs. The Buccaneer series find numerous applications either in external or internal environments where protection against the ingress of dust and moisture is a system requirement. E-T-A Circuit Breakers has introduced a new remotely controllable electronic circuit breaker for protecting and monitoring systems in the telecommunications industry. It can be used for the negative switching of loads on –48V DC power supply systems. Major application areas include power distribution systems, exchange and transmission technology, and mobile telephone base stations. The new E-T-A ESS60T Electronic Circuit Breaker is available in a range of current ratings, from 5A up to 60A, to provide circuit protection and remote switching/resetting. Designed for installation in 19″ rack systems, it features an integral ON/OFF button, allowing manual reset, and an LED status indicator. 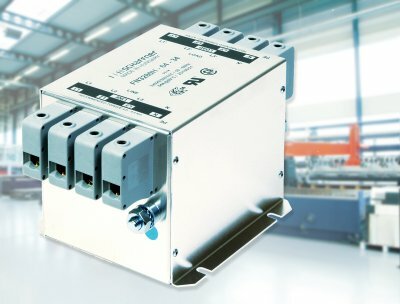 The overcurrent protection capability reliably prevents destruction of electronic components or load lines during switch-on of capacitive loads or through an overload or short circuit. In the event of a short circuit, it is also designed to eliminate short-term high currents which could cause an undesired voltage dip in the power supply or in the power distribution system, thus avoiding consequent system crashes. The ESS60T features an integral RS232 serial interface to allow re-programming of set overcurrent and undervoltage parameters to match changing circuit conditions. By this means the overcurrent threshold can be adjusted, and the undervoltage threshold can be adjusted between –36V DC and –48V DC to facilitate a priority-based load shedding capability in the event of failure of the mains power. The serial interface also enables ON/OFF switching from a remote location, as well as the ability to remotely reset the load circuit. 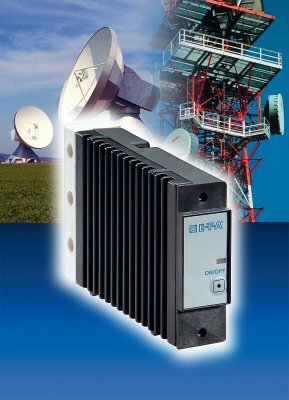 The ESS60T meets the requirements of the European EMC directive. 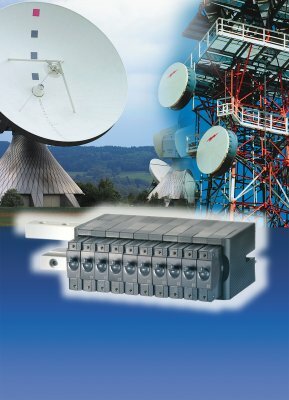 E-T-A offers a wide range of power distribution systems, racks and circuit protection solutions for the telecommunications industry, as well as offering racks or sub-assemblies, wired and pre-fitted with circuit breakers, electronic power controllers and other components customised to meet specific requirements. These products are highlighted in a new 20-page brochure ‘E-T-A Communication’, available free from E-T-A at http://www.e-t-a.com/uk_literature1.html. This covers products used in exchange and transmission technology as well as mobile telephone base stations. It emphasises the complete system solutions and explains the advantages of E-T-A circuit breakers, including their space saving, the ability to ‘hot swap’, and the local/remote re-set capability. Along with descriptions of 20 products it also lists their typical applications. E-T-A Circuit Breakers has introduced a new, compact, modular power distribution system suitable for rack mounting to handle currents up to 125A per channel. When populated with E-T-A circuit breakers, it facilitates rapid start-up and re-configuration of complex systems without downtime. The E-T-A X8345-D01 Power Distribution System is a 2U-height rail system designed for fitting into 19″/23″ or ETSI racks. Its modular design allows customer-specific and economic configurations in telecommunications and transport industries, for power supplies, switchgear, instrumentation and process control applications. It accepts the plug-in E-T-A type 8345 circuit breakers which can be specified to handle from 0.05A up to 125A each and which offer group signalisation. A complete X8345-D01 module will handle 600A in total. Systems can be extended or re-configured without powering down as X8345 circuit breakers are hot-swappable. Live parts in the plug-in area of the load terminals are protected against brush contact to IP20. In combination with the toggle switch, hydraulic-magnetic type X8345 circuit breakers, the X8345-D01 rack is ideal for telecommunications control cabinets. They provide a comprehensive power distribution system to protect wireless or wireline equipment, whether for switching technology, transfer mode systems, network access technology or mobile radio systems. The E-T-A 8345 magnetic circuit breaker for equipment (CBE) is a fully approved circuit breaker for telecommunications equipment, plant control systems, the rail industry and other applications where reliable protection in a compact package is essential. The 125A maximum rating is 25A higher than the industry norm, allowing designers to increase power output without consuming valuable rack space. The product is fully approved to UL489, UL1077 and EN 60934, requiring the circuit breaker to be fit for purpose after interrupting a short circuit at its maximum specified fault rating. Thus, an extra measure of protection for expensive electrical equipment is assured, reducing costly downtime caused by power interruption. 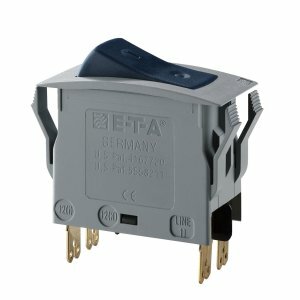 E-T-A Circuit Breakers has introduced a new, tube sensor for non-contact, long-life detection and signalling of MIN or MAX liquid levels. Easily snap-fitted to a tube, the TLS100 features solid state circuitry to provide extremely precise and reliable operation for complex or sophisticated applications in process industries such as food, chemicals and pharmaceuticals as well as with medical equipment. The compact E-T-A TLS100 Tube Sensor is a non-contact, capacitive sensor providing reliable limit-value monitoring over a long life span. It is designed to easily clip onto a tube or pipe, enabling monitoring of water and similar low viscosity liquids, aggressive or not. Two mounting lugs also enable additional local fixing for security. The tubes can be of plastic or glass with up to a 4mm wall thickness. Clips can be specified for tube diameters of 10mm, 15mm or 25mm. Even containers with difficult designs can be monitored by means of a simple by-pass tube. The TLS100 has a micro-controller at its core to control key functions such as switch point, MIN or MAX monitoring and response delay. Adjustment is via a 15-step potentiometer on the body of the sensor. The solid state circuitry ensures extremely precise, reliable operation with minimal maintenance, thanks to the absence of moving parts. Running from a 12V DC or 24V DC supply, it offers a short-circuit and overload-proof plus or minus switching output signal of up to 1A. The supply and signalling lead is optionally built-in or plugged in. Achilles Link-Up Scheme enables supply and overhaul of electrical components, general enclosures and electrical/electronic equipment (including modules). E-T-A Circuit Breakers, designer and manufacturer of a broad range of electro-mechanical and electronic products for circuit protection, switching and control, is pleased to announce its recent inclusion in the Achilles Link-Up Qualification Scheme. Link-up is the UK rail industry supplier qualification scheme, providing a single common registration, qualification and audit process for suppliers. E-T-A manufactures a range of products suitable for the rail industry for refurbishment projects and for new applications in surface and underground rolling stock. These include the versatile 3120-F7 rocker switches with integral, precision circuit breakers. These attractive, ergonomically-styled products are ideal for passenger use, for example for the frequent on-off switching of lights and heaters, at the same time providing accurate overcurrent protection. The fully approved E-T-A 8345-DC110V circuit breaker is believed to be the only product of its kind which is backed up with full test data for 110V DC usage with the highest fume classification. It can be used in F0 locations in passenger carriages. The product is backed by full test data to international standards to withstand vibration, shock, corrosion, humidity and 5000A rupture capacity at 110V DC. For the first time Schurter’s entire range of EMC solutions is available in a single reference; the new EMC short-form catalogue. Buyers can now easily select from possibly the most comprehensive EMC component range available from one manufacturer, encompassing Schurter’s IEC connector ‘power entry modules’, block filters, chokes, pulse transformers and power stage driver modules. The simple selector chart structure of the EMC short-form catalogue allows for comparison of the components attributes and specifications. Additional information on all of the Schurter range is available on http://www.schurter.com/, which, in keeping with Schurter’s open information policy contains approvals, lead-free roadmaps, CAD models, drawings, distributors links, and stock-checks, to ensure designing in Schurter is designing in simplicity. The Power entry modules section of the catalogue contains interconnected multi-functional IEC connector components with fuse holders, voltage selectors and line filters. A separate section presents line filters for 1 and 3-phase systems, and is supported by extensive general information about line filter design and selection. Linear, magnetically compensated, saturating and ground-wire chokes find their use in power electronics (frequency converters, stepper motor drives, ups-systems, power supplies etc.). 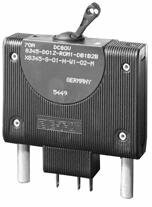 They are within the range of 0.4 up to 50A and have an inductance range of 0.1 up to 60mH. The pulse transformers section has been specially developed for the control of semiconductor devices in power electronics. Application possibilities include triggering Thyristors, Triacs, power transistors and IGBTs. The Power Stage Driver Module has been developed for driving power IGBT or MOSFET transistors in a safe, reliable and easy way. Schaffner Ltd, the market leader in EMC components and test systems, announces the introduction of a new filter to its very successful compact industrial FN3280H EMC filter range. Rated at 200A @ 50°C the new model and has been introduced to meet demands for higher power from machinery and power cabinet manufacturers. The FN3280H filter range now has 9 models rated from 8 to 200A and all offer 3-ph+N sum filtering for potentially noisy machines connected to low-voltage electricity networks, which may also supply domestic or commercial users. In these environments Class A and occasionally even Class B EMC filtering is required. To simplify system design the filter currents of all models have been aligned to commonly available fuse protection values and outstanding low leakage currents of <1mA are attainable in 4-wire connection mode. The new FN3280H-200-40 offers outstanding filter performance in a very compact package and does not de-rate under full-load operating conditions. Connection is made via Schaffner’s proprietary “touch safe” terminal blocks that meet EN60204-1 to provide maximum safety for installers, inspectors and operators. 3-phase/4-wire filters are now a standard product and available off the shelf. The FN3280H range of filters is ideal for machine tools with up to 12 driving axes with 10 to 10m of motor cable each likely to be operated in mixed domestic environments and will allow manufacturers to comply with Class A or even Class B filtering. FN3280H filters also improve the immunity and reliability of the entire system by also protecting the machine against incoming conducted interference from the operating environment. This additional protection ensures maximum productive up-time and lowers maintenance costs. Typical applications include, manufacturers of machinery, machine tools, and process automation equipment, energy conservation devices and regenerative motor drives, power cabinets, premium 3-phase + neutral power supplies and UPS and solar power technologies. The 7E Series single phase kWh totalising meters from Finder have been designed for the measurement, recording and display of individual energy consumption for loads drawing up to a maximum of 65A. The meters are targeted at applications in residential, commercial and industrial installations where the consumption of energy needs to be measured or monitored. This might be either to assist in meeting government targets for reduced emissions by minimising energy consumption, or to allow metering of locally billed electricity supplies. Typical areas of use might include test laboratories, the individual monitoring of machines, control cabinets and switchboards, in battery charging equipment, or for hook-up supplies to campers, caravans and boats. The meters can be DIN rail mounted, and can easily be installed in a standard consumer unit. 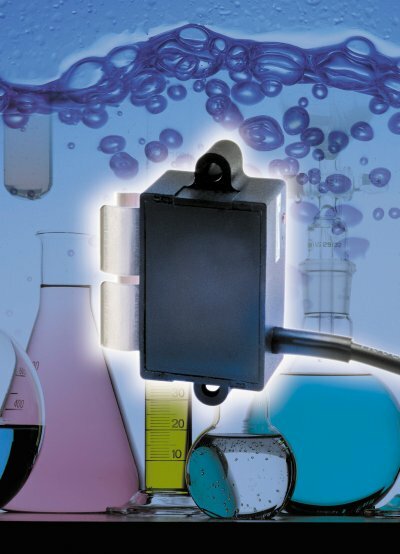 A high resolution pulsed open-collector output allows accurate remote monitoring. The two models in the series, the 7E.13 and 7E.16, are rated for maximum current levels of 32A and 65A respectively, for a supply voltage of 230V AC at 50Hz. The display counter features a 4mm high, 7-digit display with a red decimal digit, giving a maximum totalising count of 999,999.9kWh. Both models have a maximum resolution of 100Wh, and their accuracy is specified as Class 1 (±1%). Rated power is 8VA and the AC operating range is 0.8 – 1.15 of nominal voltage. The meters are housed in compact industry-standard packages with simple direct wiring connections. They are PTB approved in accordance with EN 61036, and carry CE type approval for EMC. Model 7E.13 is a single unit width (17.5mm) with the digits arranged vertically, while 7E.16 is double unit width (35mm) and has a horizontal digital display. Both models feature a flashing red LED as a quick visual indication of operational status. 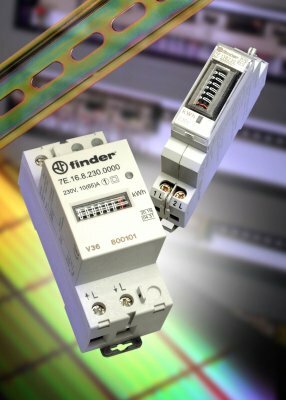 The Finder 86 series miniature plug-in time delay modules can be used with a wide range of Finder rail-mounted relay socket combinations including the latest 46 Series Industrial Relays. The timer modules in the 86 series are among the smallest and most versatile currently available. 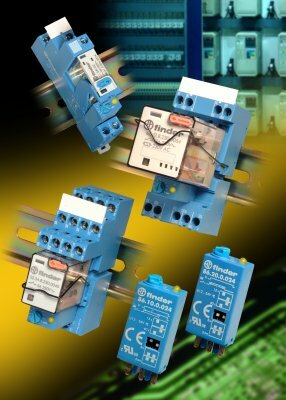 The modules offer the ability to introduce a time delay to the operation of relays, and are ideally suited for use with control circuits that require a delayed relay response in order to ensure the correct functioning of logic or sequence. The timer modules can either be fitted during panel assembly or retrofitted without any need for re-wiring or for the introduction of components requiring additional panel space. The time delay modules are compatible with sockets having both screw and screwless connection formats, and can be used with relays from Finder’s 40, 44, 46, 55, 60 and 62 series, therefore providing the facility for multiple delayed contact combinations from 1 CO to 4 CO with switched current ratings from 7A to 16A at 250V AC or 30VDC. ON delay and ON pulse functions, four time delay ranges spanning 1.5s to 64 min and a 12 – 24V AC or DC operating voltage mean that fewer models need to be held in stock to cover the whole range of available specifications. By ensuring that all future introductions of relay socket combinations offer full compatibility with the 86 series, Finder guarantees the user continued maximum flexibility of operation for the widest variety of applications.